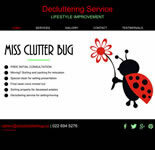 A responsive website which was developed for this new business just over a year ago - www.missclutterbug.nz. Miss Clutter Bug (Holly) is very proactive in having us regularly update her website to reflect new offers and services and keeps the gallery fresh with new images. Being active on social media is also proving invaluable in getting the word out and something that Holly does herself in a very professional manner without having to incurr any costs. No business can survive without customers. They are the people upon who can ensure the success or downfall of your business. It doesn’t matter how exclusive your products or services are, if your customers are not aware of you, then all your efforts are in vain. In short: No customers means no business. Attracting, and bringing the focus of your customer to your products and services is a challenge which needs to be fulfilled to turn your business in to a brand. The first significant step you need to take is to establish a virtual presence. It ensures that your customers are aware of you and if they want any detailed information about your business, they can easily get it from the Internet. Your online presence is your gateway toward growth and excellence for your company. It’s easier to target your customers when you actually know who you want to reach. Without a composite knowledge of what you are looking for or who you are targeting to, it’s all but impossible to make a mark for yourself in the industry. While narrowing down your focus and filtering what you need helps you to strategize on good business policies to attract your customers, it also makes your customers conscious about your presence in the market. The best to identify your clients is to take some time out for analyzing your business and its nature. It gives you a realistic view of where you stand and what your business actually requires. Performing the SWOT Analysis helps you to understand your business. SWOT stands for Strengths, Weaknesses, Opportunities and Threats. Remember while serving your customers, that it is them who are putting money into your business and back account. Now that your target customers are well-identified, you ought to identify the places where you can locate them- online, offline, social media pages and the like. Create and develop messages for them that guarantee a one-on-one communication with them. Where you can locate your customers majorly depends on the nature of business. Keep in touch with your customers and continue to provide them with the newest and latest information about your business. Free coupons and discounts always work well for your business. It attracts customers and prompts them to at least try out your products or services once. If they are satisfied they may turn from a one-time customer to a long-term customer. Giving them discounts and offers is a creative and wonderful way to gain more and more customers for your business. People often see discounts as a great opportunity to enjoy buying quality products and services at a minimum cost that ensures saving their money. These discounts also influence customers to buy more products than they had actually planned for or than they actually need. Whether you own a jewelry business or an IT firm, providing discounts and tempting deals can work wonders for your booming businesses. 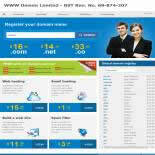 Owing a business and having a website is not enough to secure a guaranteed flow of customers. Establishing a strong connection with your customers online, spreads the worth of your products quickly and it also guarantees effective results for your business. The best way to keep in touch with your customers is through newsletters, blogs and updated information about the business. Communication with your customers needs to be a two-way street. You share your information and ideas with them and they share their feedback with you. Analyzing customer feedback and using that knowledge to improve their experience is the best way to retain customers. 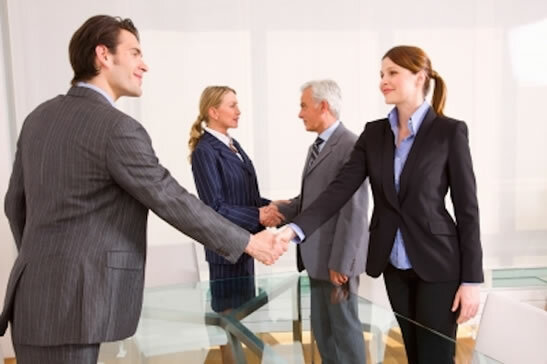 Happy, satisfied customers means good word-of-mouth for your business. Giving your customers a good experience paves the way for your prosperity. When customers are happy, they are likely to refer family and friends to you and it can explode from there if that cycle continues. 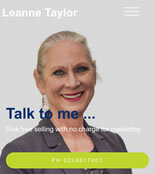 Ensure you always find out if your customer is satisfied and make it easy for them refer you. Through your website, mobile app or even your social media platforms you can ask your customers to ‘rate your business’, to share their ‘reviews’ and to ‘invite friends.’ This serves as the key to unlock new customer base and to stand tall in the market.